Very young children learn best in a playful and informal learning environment. Our engaging teaching artists infuse that belief into every program, emphasizing a safe and nurturing place where children are free to explore and play. From sampling sousaphone to practicing balance in dance, our early childhood classes will capture your child’s imagination and help set them on their creative way. All Continuing and Community Education early childhood instructors have prior experience working with young children in arts-based learning environments. The majority of classes occur weekly and take place on Columbia College Chicago's campus, at Sherwood Community Music School and The Dance Center, both on the 1300 block of South Michigan Avenue. Most early childhood classes require parent/caregiver attendance and participation. Want to try us out first? Call us at (312) 369-3100 to ask about a free sample class. 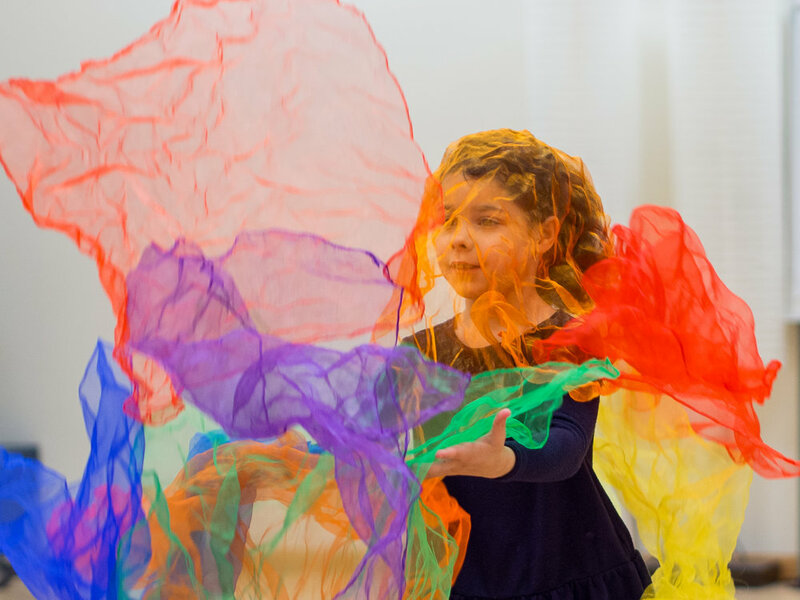 Developed in collaboration with Columbia College Chicago's esteemed Dance Center, in this class very young dancers will explore movement with the help of games and songs. By gaining familiarity with body coordination and creative movement, children will enhance their whole brain development. Together, we will imagine, play and explore as a way to develop self-expression, social emotional growth, and independence. No materials are required, but comfortable clothing and bare feet for both adult and child are recommended. Parent/caregiver attendance and participation is required in Little Hoppers class. 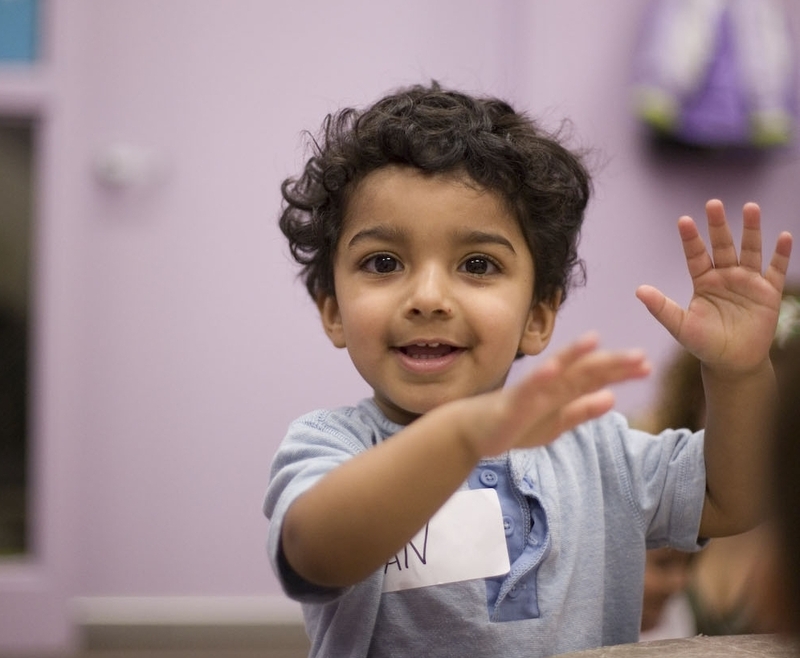 One of our most popular classes for young learners and parents/caregivers, Music Together® is an established music and movement-based approach to early childhood development for children ages birth through four and their parents or other primary caregivers. Using developmentally appropriate musical experiences such as singing, dancing, chanting, listening, observation, and exploring small rhythmic instruments, children will develop basic music competencies, while interacting socially with others in a small group setting. Parent/caregiver attendance and participation is required in Music Together® classes. 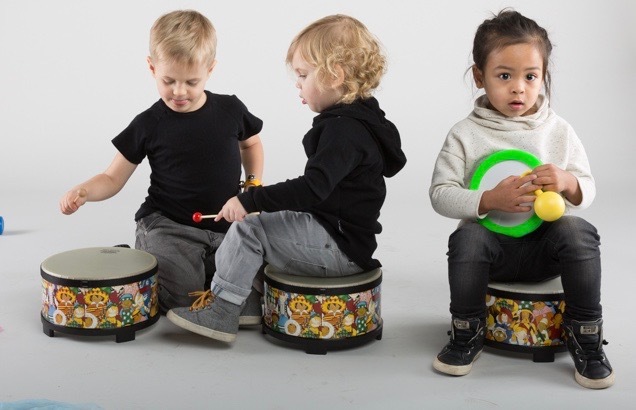 In Bumblebeats, you and your toddler will experiment and jam with percussion instruments from around the world in this hands-on class that helps develop rhythm, self-expression, and motor skills. This class is a great follow-up to Music Together®, but no experience is necessary. Parent/caregiver attendance is required in class. BE the Music!© is designed to introduce children to fundamental musical concepts through movement and play. Applying the concepts of Dalcroze Eurhythmics, this unique approach to music education uses kinesthetics to allow kids to experience music with their whole bodies. The teacher will foster a deep-rooted love for music in a stimulating, playful environment teaching concepts such as rhythm, meter, dynamics, melody, pitch, improvisation, mood, and expressiveness. Parents/caregivers are required to be in proximity of the classroom and are invited in at the end of class for a short weekly performance. What does it feel like to hold the violin in your hands? How do you make a sound on the tuba? Where do you place your fingers on the saxophone? Exploring Musical Instruments© will provide children with their first introduction to the world of musical instruments through observation, listening, and sound production. Each class session also includes a crafts portion in which attendees create a homemade version of the instrument of the day. Parent/caregiver attendance is required in class. Attendance by unregistered siblings is not permitted. Developed in collaboration with Columbia College Chicago's Dance Center, in this class young dancers will learn creative movement and basic ballet in this fun and collaborative class. Through games and exercises, kids will gain self-confidence as they build on their coordination skills and use their imagination as a means to express themselves through dance. This class will culminate with an end-of-term performance for friends and family. No materials are required, but comfortable clothing and bare feet are recommended for this class. Kids Piano Lab is an ideal way to try out the piano in a group setting and build the foundation for continued individual study in piano or other instruments. Students will acquire a familiarity with the keyboard, learn beginning music reading skills, and play simple melodies. Classes are taught in our digital keyboard lab. Kids Piano Lab level 1 begins every 8 weeks for new students. Once a student enrolls in the Kids Piano Lab program, they will typically continue with that same group of students, at the same day and time every term, until the student becomes advanced to the point of moving into private instruction. Kids Piano Lab classes are 8 weeks long for introductory classes, and 16 weeks long for all subsequent continuing classes. Parent/caregiver attendance is required in class. The voice is the absolute first instrument we learn to use! Many young children innately love to sing. In this intimate group setting, children will learn the basics of the voice in this first-time singing experience. Children will learn correct breathing technique, pitch exploration, vocal warm-ups, music theory, singing with movement, as well as improvisation through singing well-known folk songs. Parents/caregivers are required to be in proximity of the classroom. The Suzuki Method stems from the fundamental principal that Every Child Can Learn. Just as every child learns their own language, every child can learn to play an instrument. 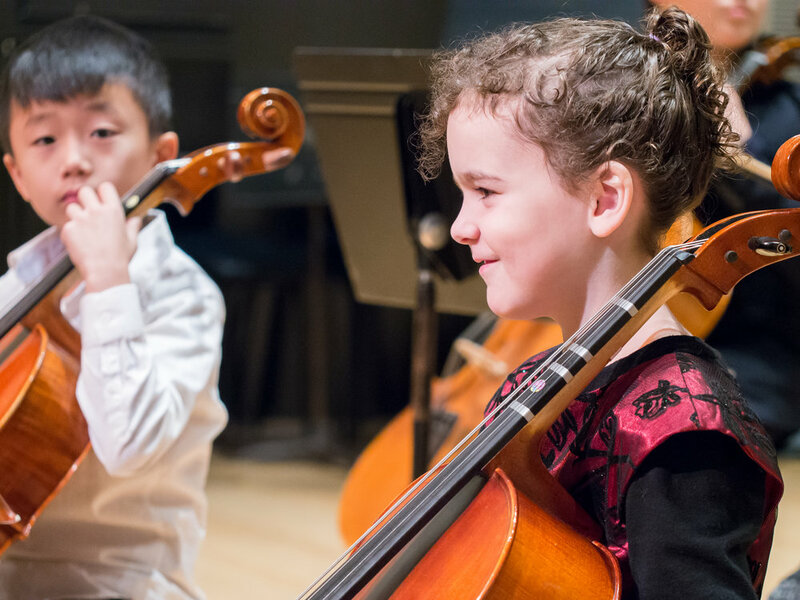 The goals of the Suzuki Method are to enrich the lives of children by playing a musical instrument and to give each child the satisfaction that comes from the ability to do something well. Suzuki Instruction is offered for the following instruments: Violin, Cello, Piano, Guitar, Flute, Viola. Parents/caregivers are an integral part of each lesson.